Upon course completion, we will provide you with achievement certificates totalling 120 continuing professional education (CPE) credits. Train and prepare for the CIPS "Advanced Diploma in Procurement and Supply"
The CIPS "Advanced Diploma in Procurement and Supply" provides senior buyers and contract and supply chain managers with the expertise to improve organizational procurement and to fulfil organizational objectives. It provides knowledge base necessary to better reduce cost, improve quality, manage the supply chain and deal with legal issues. 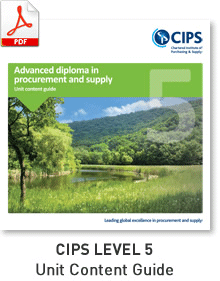 Please view the CIPS Level 5 Content Guide for complete course content details for all six modules. Upon completion of the recommended pre-requisite training, "Level 4 - Diploma in Procurement and Supply", Certified Information Security can help you and your colleagues to furhter your understanding and skills necessary to work as a procurement and supply manager. When you and your colleagues attend Certified Information Security's certification preparation and training course aligned to the CIPS Advanced Diploma in Procurement and Supply, you will quickly learn the core essential concepts and best practices to make you effective in managing your organization's procurement and supply operations. Participants are led through 5 volumes (over 1,000 pages) of official CIPS course books by an experienced and qualified instructor who will bring the material to life, and make it relevant to the procurement and supply operations at your organization. Please view the CIPS Level 5 Content Guide for complete course content details for all six modules. 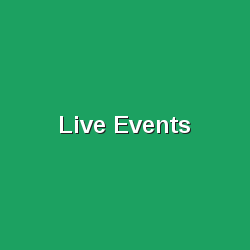 The target audience for this training session are senior buyers and contract and supply chain managers who wish to further develop advanced skills and expertise necessary for a mid - senior level management role in procurement and supply management. The Advanced diploma focuses on cost reduction and added value of purchases and supplies, improving timescales and stock control, management and innovation in the procurement and supply process, and developing legal and risk management expertise.